Everyone who walks into MJC asks for better SEO, but do you really know what that means? While that may sound simple, determining how to best optimize your website for keywords and key phrases can be a complicated and daunting task. After all, there are plenty of SEO experts who have made a huge business out of it. Just because some parts of SEO require special expertise doesn’t mean there aren’t things you can do to optimize your website. And these simple tasks can go a long way for getting you in good with our friends at Google and help you start coming up in search results too. A title tag is just a fancy word for the title of a web page. Title tags are the clickable headline that displays on a search engine result and as the title on a browser tab. This should be a concise and accurate description of your page and its content. For example, the Title tag for my About page would be something like About M|J Creative Web Design. The title tag is most often a user’s first interaction with your website and can determine whether someone chooses to click on your link from the search results. Always use a unique, easily recognizable title and try to incorporate a keyword relevant to your business in your title. The Title Tag is shown in blue and the Meta Description is shown in gray in the search listing. In simple terms, Meta Descriptions are a concise summary of the content of a webpage. These are most often the descriptions you’ll find underneath the title link in a search result as shown below. These descriptions can impact whether a user chooses to click through to view a result or bypass when scrolling through, therefore affecting how often google chooses to show your link in future search results. In short: these small, but mighty page descriptions that impact your overall SEO! Be sure to include any keywords or phrases you want to rank for in your meta descriptions, however make sure that they are relevant to your page content and/or business. Our friends at Google are smart and know when you are trying to pull one over on them, then they punish you for it. Depending upon the website platform you use, the meta description is incorporated in a different capacity. In Squarespace, you’ll find these in the new SEO option for each page. 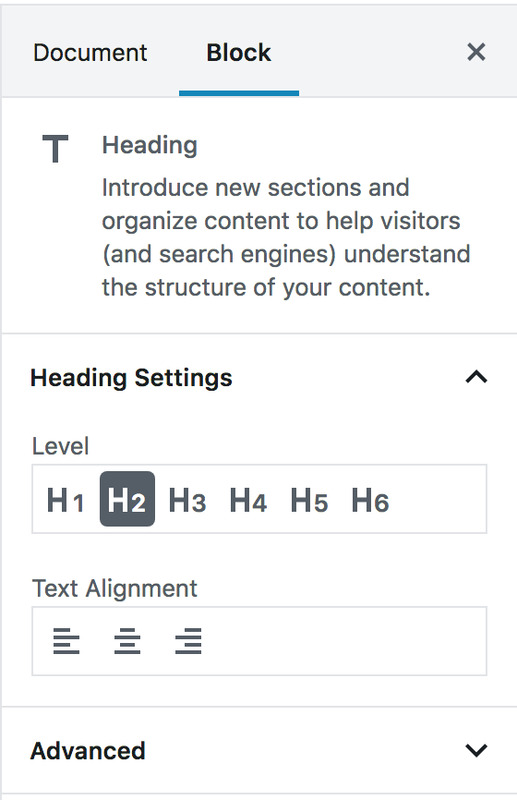 Wordpress users are likely (and should be) using the Yoast SEO plugin, so you’ll find your meta descriptions in the Yoast SEO panel on the page editor panel. And finally, in Shopify you can add meta descriptions in the Search Engine Listing preview on each page. Remember when I said content was the most important thing on your site for SEO? Well let me reiterate. The more content you have for readers to consume, the more you’re going to come up in the search results. That’s why blogging is a vital component of any basic SEO strategy, yet so many clients ignore this basic step because they don’t think they need a blog or no one is reading it. Well let me tell you, Google is reading it and then it is recommending it to users based on their search parameters. And those are users that can become your next customer! The more often you provide ongoing, regularly updated content on your site, the better you’re going to find yourself in the search results. Think about how many times you search for something, anything really, and MOST of the top search results are blog posts. Determine what your potential clients would be searching for, and provide ongoing content relevant to those topics. Even one post a week can go a long way to help your SEO strategy, so whatever you do, don’t ignore this vital component of your SEO strategy. Much like your average website user, Google loves website organization. So your website should have a clear content structure and easy to follow navigation that helps users find their way around the site in a concise manner. A website without a content structure and clear navigation is like a map without street names; a pretty picture but very frustrating to find your way around. 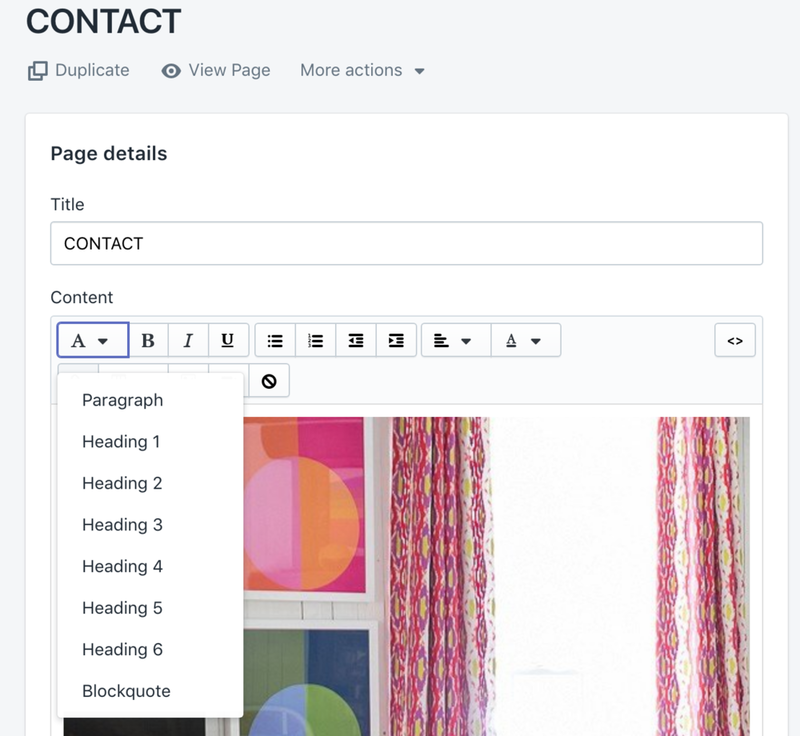 Each of your pages should have ONE H1 or Header 1 title that describes the overall content of the page. For example your About page H1 might be ABOUT XYZ COMPANY. Then break down the rest of your page into Headers that make sense with your overall content structure. Header 2 should be used for main section titles, then Header 3 and so on. Think back to grade school when you did an outline for a book report and you had to break your content down into headings and subheadings. Do the same thing on your webpages. Each content management system varies in how to designate your headings, but each makes it very straightforward in their respective text editor. Your url or permalink structure is a simple but extremely important factor in your website design and SEO strategy. And I see SO many people make this very common mistake. Your url structure should be as simple as possible, be easy to read for both humans and search engines, and give a clear understanding of what the page is about. Make it short and descriptive but do not include dates or random post numbers in your urls, and be sure to include hyphens between words. For instance if you have a page called About XYZ Company your permalink should be domain.com/about-xyz-company. You want your url to be as descriptive as possible without using a lot of unnecessary words. Internal linking is the process of linking between your existing website pages. This establishes your site architecture and helps both users find their way around and search engines crawl through your site. Think about a search engine crawler like a spider...it needs a web to crawl through. So if it gets to a page and there are no more links to follow, it stops and moves on to another website. Internal linking also provides your audience with additional reading options, therefore keeping them on your website longer. And keeping your users on your site longer leads to better SEO. Another very common mistake I see people making is ignoring or overlooking their image alt text. Visual graphics look great to humans, however search engines don’t have eyes and aren’t great at understanding them. Your alt text gives context to each image on your webpage or website and not only is it used for search engines, it’s also used for screen readers for the visually impaired, so it’s an important factor in web accessibility. The alt text should explain what the image is. In addition, your image file names should be descriptive of the image. Rather than using the generic name like DSCF123.jpg or screenshot-01-01-2018, name the image file something relevant. If you sell computer equipment and your image is of an Apple Macbook for example, you want to name it something like gold-apple-macbook.jpg. Think about what your website users would be looking for and name your images and alt text appropriately. Describing your images accurately will not only help increase your basic SEO, it will increase the chances your images appear in Google Image searches as well. Backlinks are a valuable ranking factor for SEO, mainly because they give your site clout as a sign that outsiders are endorsing your content. Backlinks tell search engines that your content is worth linking to therefore having a positive effect on your search ranking. There’s plenty of research showing that backlinks have some of the strongest influence on Google’s search ranking, however the site linking to you also has an effect on just how much influence. Having a large reputable site like the New York Times link to your site would have a much bigger effect than having a local blog site link to it. Get more information on building backlinks from Backlinko’s Backlinks Guide here. Not only do website users prioritize page load times, search engines do too. Google and other search engines not only want users to find exactly what they were searching for, they want them to find it as fast and efficiently as possible. A slow page speed means it takes search engines longer to crawl your site, therefore they crawl less pages. If you have a small site with only a few pages you may not think this is important, but think again. Page speed also affects how many users leave your site within the first few seconds of visiting. And the more people that leave your site (also known as “Bounce Rate”) the more it negatively affects your page ranking because it tells Google they didn’t find what they were looking for. Use Google’s PageSpeed Insights tool to discover how quickly your site loads and get advice on how to improve your site and page speed. With an estimated 60% or more web users performing searches on their mobile devices, Google has begun to move to a mobile-first indexing approach. This means that Google will primarily use the mobile version of your site content to rank your pages and show in search results. For this reason and more, you want to ensure your site is mobile-responsive, meaning the primary content is the same across both mobile and desktop. So if you have a mobile-site that’s currently different from your desktop website, it might be time to start thinking about a website redesign. Click here to learn more about mobile SEO from Backlinko. Thanks, click here for your download: What is Responsive Web Design and is my site mobile-friendly? Thanks, your FREE SEO OPTIMIZATION CHECKLIST is on its way! Be sure to check your email.